“Higgs Force” is a new book by Nicholas Mee explaining the fascinating search for the Higgs Particle, from some of the earliest scientific discoveries hundreds of years ago up to present-day particle physics. The book explains the journey to the Higgs Particle through the fascinating (and unusual) stories of many of those who’ve contributed, and includes a specially updated section covering the discovery of the Higgs Particle in July 2012. Nicholas Mee is a theoretical physicist with a passion for understanding the fundamental workings of the universe. 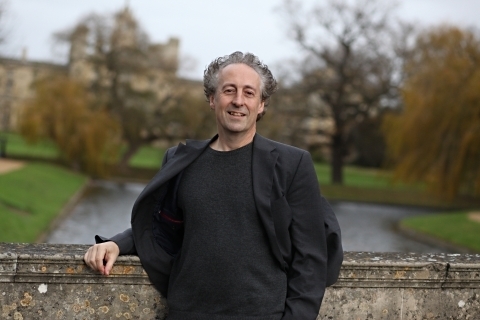 After a PhD in Theoretical Particle Physics from the University of Cambridge, he set up Virtual Image Publishing Ltd, a company developing educational software with the aim of promoting maths and science; raising educational achievements, both for school pupils and the wider public. 5.0 out of 5 starsThe building blocks of nature brilliantly explained. Higgs Force by Mee is one of a range of excellent books that I had the good fortune to read ( Green’s The Fabric of the Cosmos; Kumar’s Quantum; Cox’s The Quantum Universe and Baggot’s The Quantum Story) that successfully conveys in a non-mathematical manner the scientific principles that govern the behaviour of the basic constituents of everything. The book clearly paints the current picture of our knowledge of the building blocks of nature in a very simple and impressive manner. 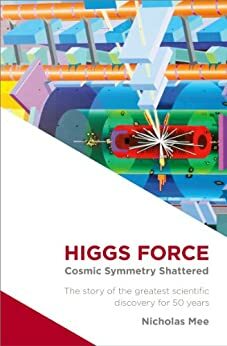 I strongly recommend Higgs Force to all those readers who are interested in exploring the scientific basis of our existence and who are willing to do so without worrying too much as to what kick-started the process in a ‘big bang’ 14 billion years ago! I'm a physics graduate who hasn't really been involved in the science for a long time. This book, like several I've read over the past couple of years, opens up modern physics to the amateur, allowing an appreciation of the subject without the mind blowing mathematics which most of us never encountered or have largely forgotten. I love this type of book, although bits of it need a few re-reads to make sense. If you like the subject, the book is great!! Good general introduction to particle physics but perhaps too much of this as the title leads one to think that the whole book is about Higgs when in fact only the very final small chapter deals directly with this. Otherwise well written and easy (well 'relatively' easy) to follow. Very nicely done. If I had a quibble, I'd like a little more material on recent developments including the Higgs itself and less on earlier science (which as a regular reader of popular physics books is familiar stuff). But I'd recommend it to anyone wanting an idea of the current state of physics and how it came about. There are plenty of books about the hunt for the Higgs boson, most notably Jim Baggott's excellent Higgs, so at first sight, Higgs Force, might seem to be more of the same, but in a couple of areas it is unparalleled in anything I've read in the field. Where Higgs is very much the story of the hunt with a bit of physics thrown in, Higgs Force takes us on a journey through our developing understanding of the nature of the components of the universe, putting the eventual origin and significance of the Higgs field (and boson) into context. It's not perfect, by any means, and I was on course to give it four stars rather than five. This is because it has a tendency to concentrate on the bit of the history of science that fit the picture that is being developed, and rather skims over, or even slightly distorts, those that don’t. A good example is the description of Dirac’s relativistic equation for the electron, and his prediction of the positron. The book gives the impression that Dirac stared into the fire for an evening then came up with the whole thing, which misses out a whole lot of duplication of other people’s work and near misses. But more importantly, this book is very much focused on the importance of symmetry and suggests that Dirac’s equation predicted the positron through symmetry considerations. In fact the equation predicted negative energy electrons, which brought Dirac to his outrageously bold suggestion of the negative energy sea, which is anything but symmetrical, and then to the idea that there could be holes in the negative energy sea which could be interpreted as positrons. A very different chain of thought. However, the reason I eventually overlooked these foibles is that this book fills in the gaps that Higgs misses. In the review for that book I complained 'Like every other book I’ve read on the subject it falls down on making the linkage between the mathematics of symmetry and the particle physics comprehensible.' Although there a few bumpy moments (and I wish the author had given more detail on symmetry groups, which he never actually names) I would say that Nicholas Mee has achieved the impossible, and made a generally clear and (relatively) easy to follow explanation of the significance of symmetry and symmetry breaking that I'd say no one else has really managed. This is an extremely impressive feat. It leaves the description he gives of the various particle accelerators and the actual discover of the Higgs particle feeling rather flat - the book could easily lose a chunk of that, because by comparison it is mundane. There's one other section where this book absolutely hits the spot: in its description of Feynman diagrams. Many books cover these, and show how they represent, say, the interaction of a photon and an electron - but Higgs Force has by far the best description of Feynman diagrams I’ve ever seen in a popular science book, properly explaining the interface between the diagram and the associated calculations, which is brilliant, and again pretty well unique. So not a uniformly brilliant book (I also question the relevance of putting puzzles for the reader in a book like this), but where Mee does hit the spot, he achieves a remarkable ability to communicate complexity, and never more so than the fundamental aspect of symmetry and how it has shaped modern particle physics. OK - but I've read better. Doesn't lodge in the memory as great.